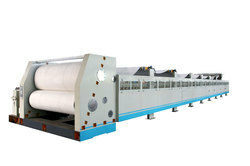 We are engaged in offering a wide range of 3/5 Ply Automatic Corrugated Box Making Line. 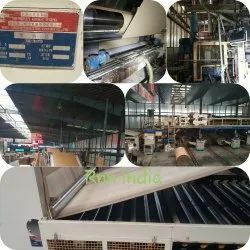 1 TECHNICAL DATA 1 Number of Operator 9 persons Mill Roll stand & Single Facer: 1 Double Facer: 1 Slitter Scorer & Cut-off: 1 Stacker: 2 Boiler: 1 Glue system: 1 Chief:1 2 Running Width 1800mm 950mm 3 Max Speed 180 m/min 4 Working Speed 160m/min for 3 ply 140m/min for 5 ply 5 Monthly Output 1200~1600tons (1 shift with12 hours /day, 24 working days/ month) 6 Maximum sheet size 1800mmX 3500 mm 7 Minimum sheet size 125mmX500mm 8 Paper Grades 90 g/csm - 180 g/csm (Medium) 110 g/csm - 400 g/csm (Liner) 9 Adhesives Required starch 10 Starch consumption 3 ply: 10-15g/ 5 ply: 20-30g/ 11 Steam Pressure 1.2 MPa 12 Steam Consumption Approx.3000~3600kg/h 13 Occupied Space Approx. 10 m X 87m (Incl. operation space) Highest point is 4.25m 14 Power Capacity Approx : 326Kw 15 Power Required 380V, 50HZ, 3 PHASE 16 Paper going Drive side (left hand or right hand) 17 Flute A, B, C or E (UV flute) 18 Delivery 120 days after the receipt of down payment PRODUCTION WJ180-1800-II corrugating line NO. JSMI-MC170426-1 ADD VALID AS OF DATE: 31-05-2017 J.S. 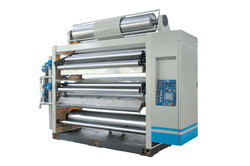 MACHINE INDIA 19 Quality Guarantee 1 year after installation 2 IN INR COMMODITY NAME, QUANTITY, UNIT PRICE, AMOUNT No. 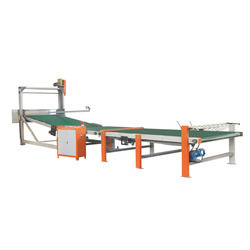 Name Qty Unit Price Amount 1 SZC800-A1800 Rail & Carriage with ZP350 turn plate 5sets 2 YWZJ-B1800 Full hydraulically Mill Roll Stand (expansion chuck, Multi-cylinder pneumatic brake) 5 3 DWB1800 Single Facer (Steam heating, Glue amount digital readout, AC driver control, A/C/B flute tungsten corrugating rolls) 2 Option: MV200-1800 Splicer 5 4 Mist Sprayer (model: DB1800 without pump, auto off while machine stop) 4 5 YRA900-1800 Pre-heater 2 6 YTA900-1800 Pre-conditioner 2 7 YRA900-1800 Multi-Pre-heater 1 8 TQ-II overhead bridge 1 9 SJF1800 Glue Machine (Variable frequency control, glue amount digital readout, upper/lower individual speed control) 1 10 ZH-B1800 Double Facer (600mm*18 pieces hotplates, pressure shoes, upper belt cleaning device, temperature digital readout) 1 Drive Roll Stand (variable frequency control) 1 11 HDFY1800 N.C Slitter Scorer (pendent side trim suction device, 4 outs) 1 ZBJ-A Trim Shredder (outgoing pipes arranged by buyer) 1 12 HQE1800 N.C Cut-off(Helical knives, serve motor) 1 13 DMH-A-II1800 Auto up stacker 1 14 ZXD II Glue Kitchen 1 Option: ZJZD-II Full Automatic Glue kitchen 15 Compressed Air System 1 16 PB-II Speed display board 1 17 Overhead bridge cable arrangement. 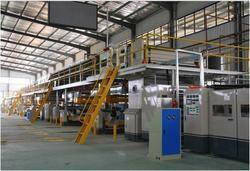 We offer Corrugation Plants that are designed and fabricated to meet the requirements of different industries. 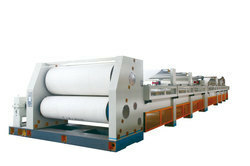 Reduces production cost manifold. 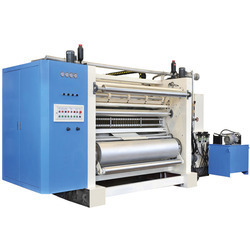 These machines offer ultra modern on line 3/5 ply paper corrugated board making plant. Assured quality with unmatched service back up. 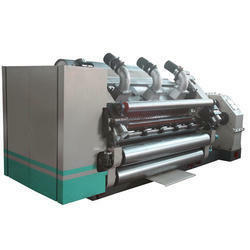 5 ply corrugated box making plant High speed bearing mounted corrugation machine with variable speed drive- 2 nos. Drum type heaters - 4 nos. Self loading reel stand- 5 nos. Triplex heating unit before gluing On line duplex pasting unit Heating cooling and drying chamber (consist of fourteen hot plates) Heavy duty pull unit On line creasing and slitting unit Heavy duty cut off unit 3 ply corrugated box making plant High speed bearing mounted corrugation machine with variable speed drive Drum type heaters - 2 nos. Self loading reel stand- 3 nos. Duplex heating unit before gluing On line simplex pasting unit Heating cooling and drying chamber (consist of nine hot plates) Heavy duty pull unit On line creasing and slitting unit Heavy duty cut off unit the plants above include complete fabrication and synchronization of all machines together. Overhead bridge and conveyor take up belts. 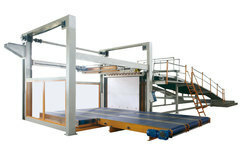 Motorized web adjustment unit, gangway and stairs. The standard flute height (a=4.7, b=2.65, c=3.7, e=1.6) and flute profile uv unless marked. 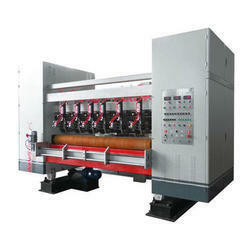 Special fluting requirements can be customized. 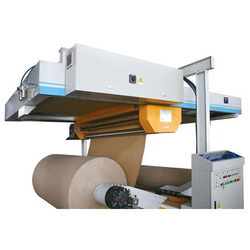 We are one of the prominent firms in offering a wide range of Automatic Down Stacker in the market. Main drive rolls with big diameters are covered with herringbone wearable rubber. Sealed and oil-bathed gear transmission. 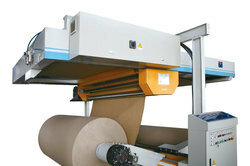 We are offering the high-quality collection of Corrugated Board Plant Automatic Splicer to our valuable customers. 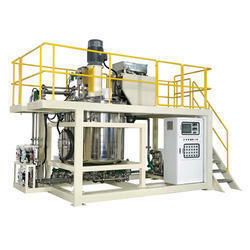 However, all the Automatic Glue Kitchen on the market can only make stein-hall type carrier starch adhesives. 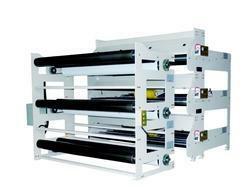 Multi-layer paper storage compact design ensuring reliable splicing. Motorized drive for both upper and lower precision ball lead screws, ensuring synchronization of upper and lower tools setup. Pneumatic control for upper tool up and down with prompt response. 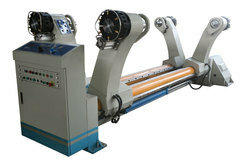 Motorized switchover between scoring profiles, motorized scoring depth adjustment to meet different caliper; Motorized scoring gap adjustment Motorized lateral adjustment for the whole machine to meet web deviation. 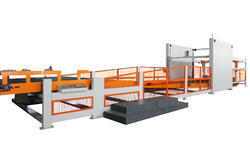 Automatic regrinding device keeps tool-edge sharp during operation without stop. 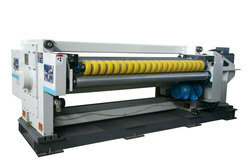 Variable frequency-inverter motor is introduced for slitting tool setup and scoring tool setup. Variable frequency control for main motor. 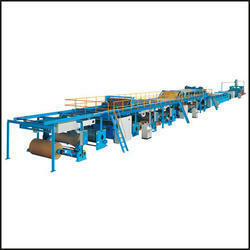 Looking for Automatic 5 Ply Corrugated Board Production Line ?